Hewlett-Packard has a collection of official HP-30b information posted here. 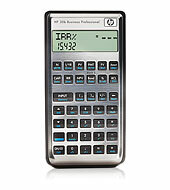 The HP-30b is a new breed of calculator for Hewlett-Packard, and one that reflects a casual “open source” model for HP. A group of HP calculator enthusiasts have begun work on repurposing the HP-20b and HP-30b calculators for other uses, primarily enabled by accessing the JTAG connector on the main circuit board. This is a work in progress, although the group is actively soliciting individuals to help with this effort.